Our online Indiana teen drivers ed course is the most convenient and effective way to learn the rules of the road and earn your Indiana drivers license! We offer a BMV-approved online course (LIC. #49-9580) that you can take anywhere, anytime. Start earning your license with the drivers ed authority. Students seeking Indiana driving privileges must be enrolled at a driver training school licensed by the Indiana Bureau of Motor Vehicles and must be at least 15 years of age to earn credit for completing online driver training. If you're at least 15 years old, you can start taking Indiana teen drivers education online to earn your license. 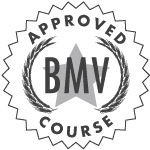 Our BMV-approved course prepares you for the permit test and in-car lessons. Note: Students seeking Indiana driving privileges must be enrolled at a driver training school licensed by the Indiana Bureau of Motor Vehicles and must be at least 15 years of age to earn credit for completing online driver training. The course is all online for your convenience. Log in on your laptop or desktop: we will automatically save your place in the course. You get unlimited access to the material, so you can review information anytime. After you finish our drivers ed course, it's time to sign up for behind-the-wheel training. You'll get a Certificate of Drivers Education (CDE) issued by your driving school. But before you can start your in-car lessons, you have to take the BMV written permit test. Our Indiana drivers ed course covers everything on the permit test and more. Our interactive lessons help you understand and remember the information you need to be a safe driver. Plus, we give you free unlimited practice permit tests to help you prepare for the BMV written test! Collisions can cost money and lives. Our Indiana teen drivers ed course teaches you to prevent and handle dangerous situations on the road. We've been teaching drivers ed for over 25 years, and we're the experts on traffic safety. 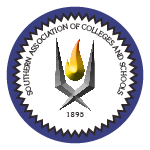 Drivers Ed.com is the only school that is approved by the Road Safety Educators' Association and accredited by the Driving School Association of the Americas. To put it simply, we're the drivers ed authority. Taking drivers ed is a smart decision that pays off every time you drive. Sign up today!